The Board room is equipped with projectors which facilitates high-tech presentations. The business hotel holds everything in class: every minutes thing is considered to render perfect service. 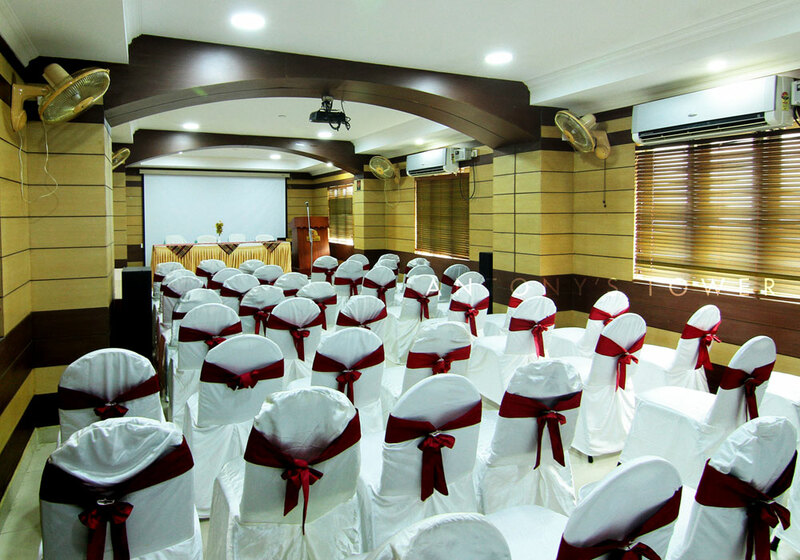 Tejaswini, our A/C banquet hall is under for birthday and bachelors party which can occupy up to 125 persons. Step in to the splendour of joy and luxury as we welcome you to the upscale Business Class Hotel. The classy lobby is arranged with visitors in mind and provides all facilities that you wish for. The hotel is the first choice for both the business class and leisure travellers.